Wearable corsage decorated with a mix of fresh flowers & greenery. Choose between tropical or seasonal stems. Wearable corsage decorated with assorted, fresh greenery. 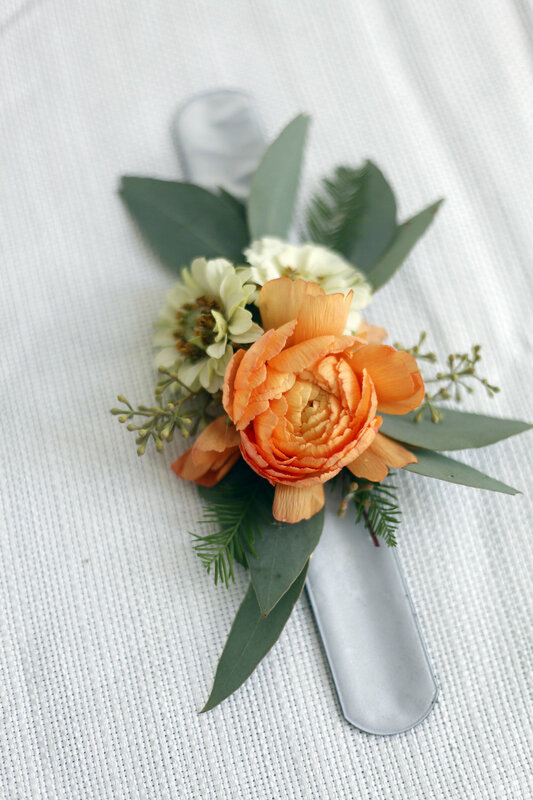 Wearable corsage decorated with succulent cutting, fresh flowers & greenery. Cuttings can be removed & rooted for growth after use. Wearable corsage decorated with air plant, fresh flowers & greenery. Air plant can be removed and grown after use. Choice of warm (pinks, yellows, reds, oranges) or cool color palette (purples, greens, blues, whites).